Debt validation is a powerful tool you can use to require your creditors to verify the amount and validity of your debt. You have the right to discard your debt and get validation as part of your consumer rights. Debt validation will not affect your credit score, nor will it leave you with a massive bill to handle. It’s fast, it costs less than other debt management options, and it can leave you with a higher credit score when all is said and done. At Debt Advisors, our mission is to cut your monthly payments in half, get out of debt in one year, and build your credit in the process. We help you prepare both credit dispute requests and account validation requests. Creditors are required to give you these records upon request. We wait for your alleged creditors to respond. They must substantiate the debt they claim you owe. Our document analysts review the details to see if your consumer rights have been violated. Please let us know the moment you receive collection letters or communications. With more than 75 million Americans in some sort of financial hardship and the rise in unethical financial practices being exposed, we created Debt Advisors to be your advocate. Though an educated consumer is a powerful consumer — you shouldn’t need a law degree to understand your rights. We offer information, assistance, and quality service that arms you with the tools and resources you need to reach the best possible outcome. consumer is a powerful consumer, people shouldn’t need a law degree to understand their consumer rights. By providing our members with information, assistance, and services to which they may not otherwise have access, we are arming our members with the tools and resources to assist them in protecting themselves against violations of their consumer rights. Every consumer should not only be aware of their rights, but also be equipped with the knowledge of how to defend those rights against illegal practices. Debt Advisors is a consumer service provider specializing in consumer education and building strong financial foundations. Members have access to several additional benefits offered by trusted, independent, third-party service providers; such as, extensive education on how to build “good” credit and instruction on how to develop “healthy” financial habits. You will also be able to schedule consultations with consumer rights legal professionals, and should the actions of your alleged creditors require it; discounted legal representation offered by independent, third-party law-firms. Our Consumer Empowerment Team will provide you with status updates and important information regarding your account with us, as well as reinforce your understanding of your rights as a consumer. In addition, our Consumer Empowerment Team is also available to answer any questions you may have, throughout this process. We are available 9:00am-9:00pm Eastern time, Monday-Friday. Our Data Specialists will review your credit report for any inaccuracies that may be impacting you. Our Data Specialists work with you to ensure that all erroneous, and derogatory remarks are identified, and addressed. Our Data Specialists will assist you in preparing documentation requesting that these items be verified or removed from YOUR credit report. During this part of the process, our Violation Specialists will also be reviewing YOUR credit report for potential violations of any federal statutes. If identified, violations can lead to financial compensation for YOU! Our Violations Team will provide you with consumer rights education and training on how to protect those rights. They will review federal laws and statutes that were put in place to protect YOU, as the consumer. 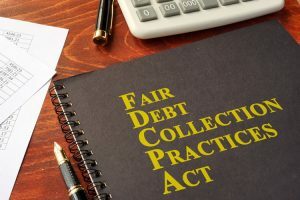 Understanding your rights as a consumer will help you understand how your alleged creditors may be violating these rights. Our Violations Team works closely with independent third-party law firms that, if applicable, will assist you in pursuing damages as a result of your consumer rights being violated. During the last steps of your journey with us, you will be assigned an Personal Account Advisor. You will have the opportunity to have a 1 on 1 relationship with your Personal Account Advisor! You will have a direct phone number, fax number, and email address to reach your very own advisor as well. Your advisor’s goal will be to further educate you with regards to rebuilding your credit, not just for today, but with a strong financial future in mind. They are 100% here for YOU!